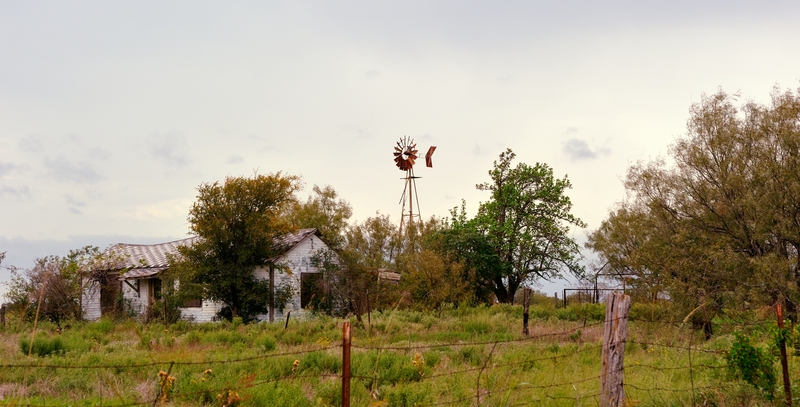 I found this old abandoned farm-house in southwestern Palo Pinto County as a gentle rain storm was rolling in. No doubt there are memories attached to this place. Peggy and I stopped in Ranger Texas on our way to San Angelo to take some pictures of Ranger for one of Peggy’s childhood friends. 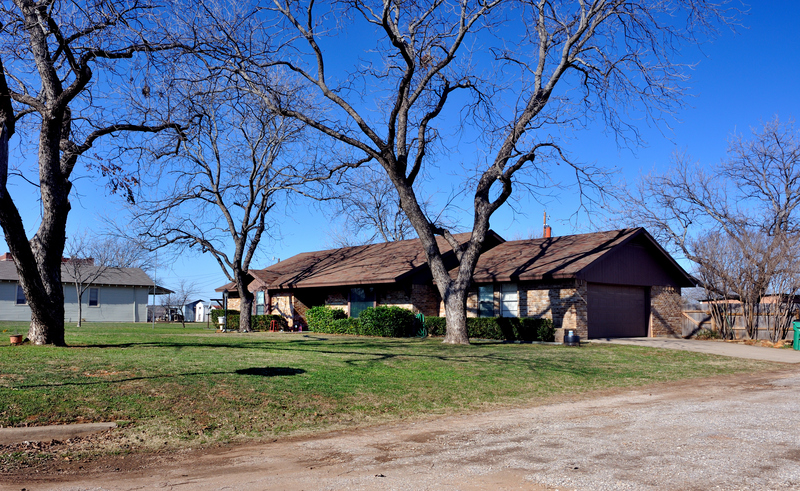 Peggy lived here in the ’60’s and early ’70’s before they moved to Weatherford. We drove around her old neighborhood about ten years ago so we knew what we would find. 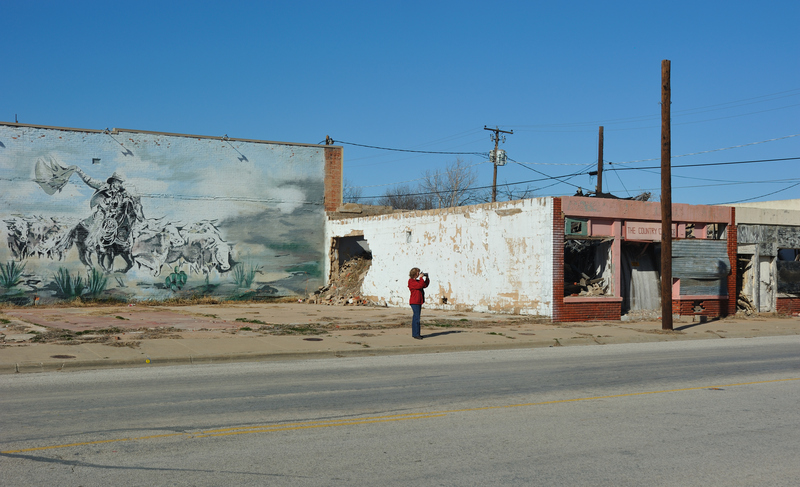 Some of the images are of memorable places from Peggy’s childhood but others are a small testament to the death of a boomtown. The 1920 census shows Ranger’s population at its height as an oil boomtown at 16,201. There are some unofficial estimates that it reached almost 30,000. By 1930 the boom was over and the population was a little over 6000. As Ranger emerged from the Great Depression, the Ranger economy stabilized and was primarily based on agriculture including sheep, goats, peanuts and cotton along with about 15 industries. But with the gradual migration in Texas from rural towns to the I-35 and I-45 corridors the 1980 census shows the population was down to 3142. In 1990 the population was at 2803 and only 2584 in 2000. Such a population drain leaves a huge vacuum and this is clear to anyone driving through the streets of Ranger. Many houses have been vacant for years and some houses which are occupied are suffering from significant structural deterioration. That doesn’t mean that all of Ranger is in decline. There are nice well-kept homes and certain neighborhoods are holding up well. Some of my images are of well-kept homes, businesses and churches. But it is sad to see large portions of a town in such decay especially when fond childhood memories are a part of such places. 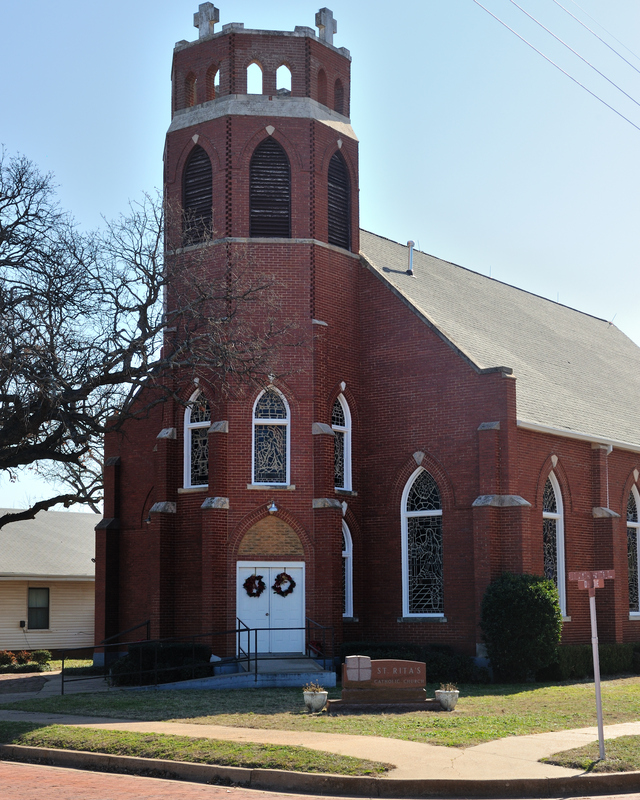 First Baptist Church of Ranger Texas. 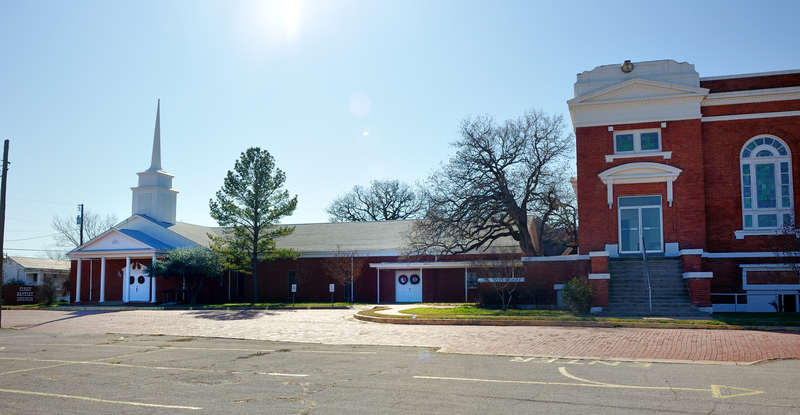 The two-story building on the right is the fellowship hall and church offices. When Peggy and her family lived in Ranger from the late ’60’s to the early 70’s the two-story building was the sanctuary where they worshiped. Like First Baptist, you can see the Catholic Church is a very attractive building and very well-kept. 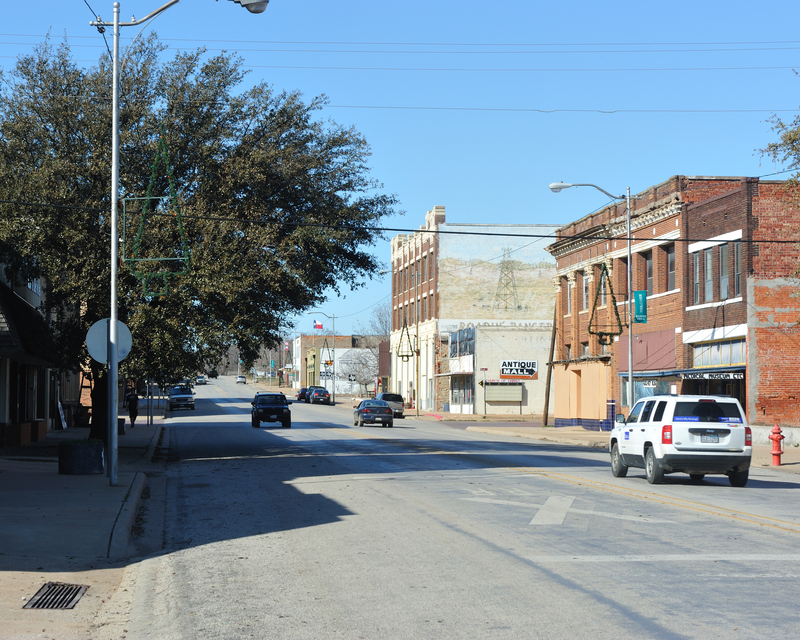 The deep red brick is a recurring theme in Ranger and in most towns in this part of Texas. 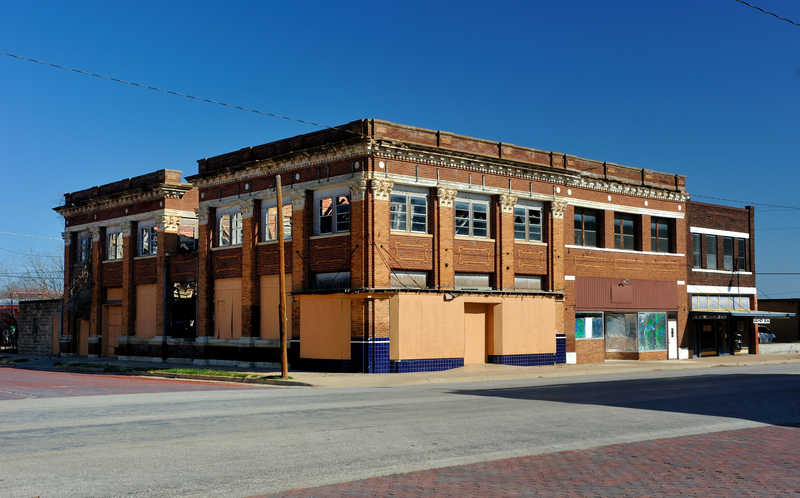 I assume both sanctuaries were built with Thurber brick which can be found in buildings and historic streets in Fort Worth and almost all towns west of Fort Worth. 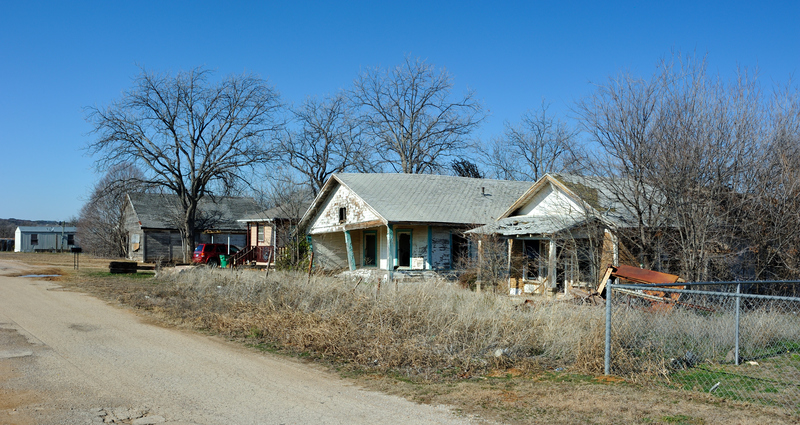 Thurber is just a short drive East of Ranger and is a true boom to bust ghost-town. This is where Peggy attended 4th grade. 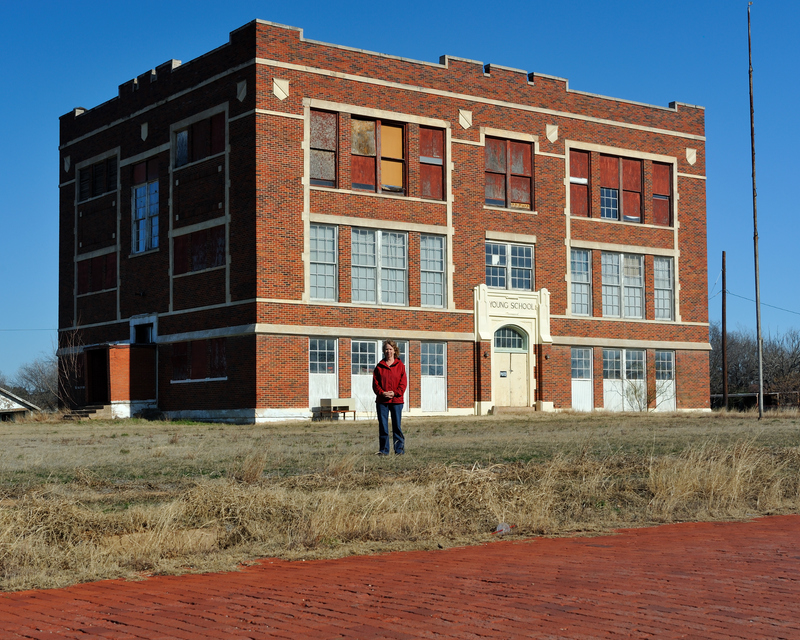 These vacant multi-story school houses are common in communities throughout Texas and most of the country I suspect. As communities build new schools there is no clear use for these attractive old buildings in old neighborhoods. Inevitably they are torn down and the land is used for other things. The exterior of this old school still looks good. You see the Thurber brick in the road and mixed in the exterior of the school. 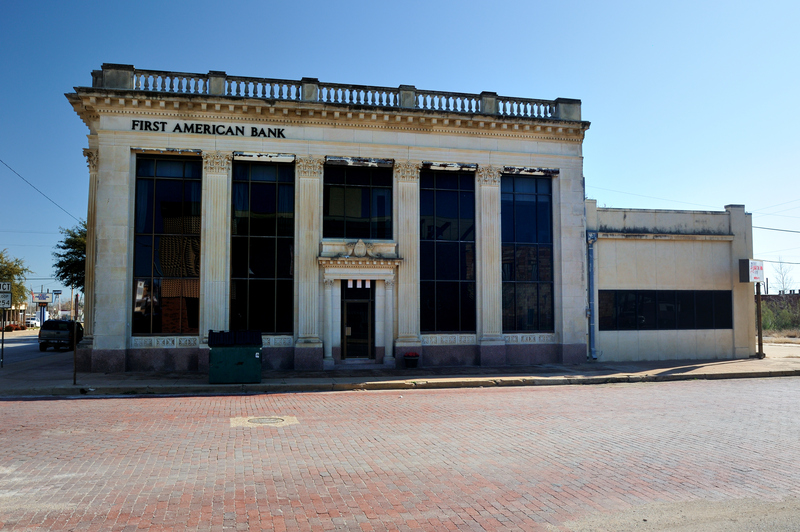 First American Bank of Ranger Texas. A classic, stately old building on Main street. Peggy is standing next to an old collapsed cafe’ just off of Main Street. You can see the roof has fallen in with considerable rubble and dirt. I couldn’t guess how the earth found its way on and in the cafe’. You can see the roof has caved in on this beautiful old building on main street. I love the rich earthy colors of this building and I expect it has an interesting story from its boomtown days. It’s hard to believe but this house may be occupied. There is an electric meter visible in this image, an air conditioner in the front window and a fairly new pickup truck in the driveway. I hope that it is ongoing a major rebuild or being prepare for demolition. 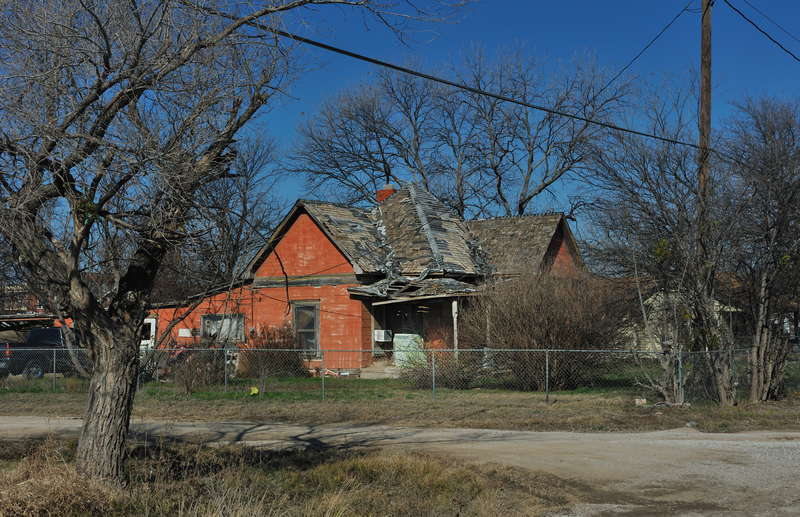 I would hate to think anyone lives in a house in this state of disrepair. 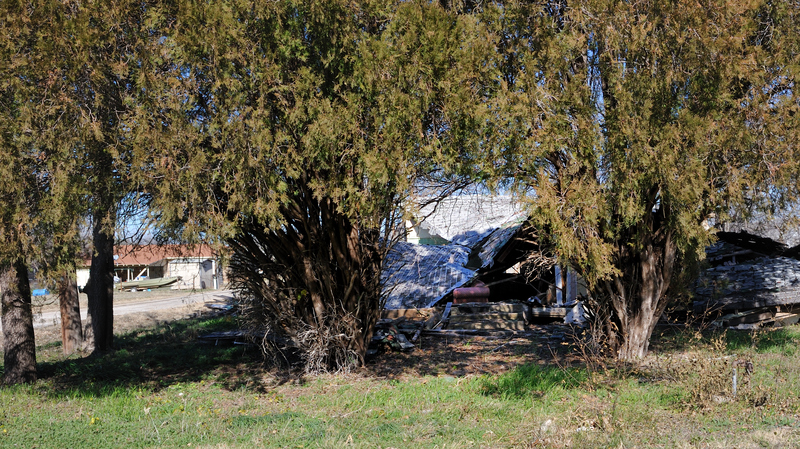 A home in the midst of a ghost town. I was really taken by the presence of well-kept homes amongst what is becoming a modern ghost town. In this image the third house down is a well-kept family home surrounded by houses that are literally falling down. What caught my eye at this site is how odd it is to see a relatively nice couch peeking out from under the collapsed roof of a ruin. Within a block of some of the collapsing ruins shown in the previous images we found this very nice ranch-style home which is clearly very clean and well maintained. This is not on “the other side of the tracks”. This is within sight of some of the others. This started out as a quest to capture some old memories for one of Peggy’s childhood friends who is now living on the East Coast. But the decline of these old neighborhoods and the stark contrast between family homes amongst literal ruins really stood out to me. I hope this isn’t seen as disrespectful in any way. That was not my intent. This is not comprehensive enough to be of much value as a message but I hope it shows in a small way the battle that these small towns fight as a result of the huge migration of people and economic vitality from rural communities to the major urban and suburban areas along the major interstate corridors.